In the southeast of London, just 3.5km from the Tower of London, rail lines leaving London Bridge Station toward Kent and Surrey currently cross creating a ‘bottleneck’, severely restricting the network’s capacity. As part of the Thameslink Project, Network Rail commissioned the construction of a new ‘Dive-Under’ to reduce delays and congestion. 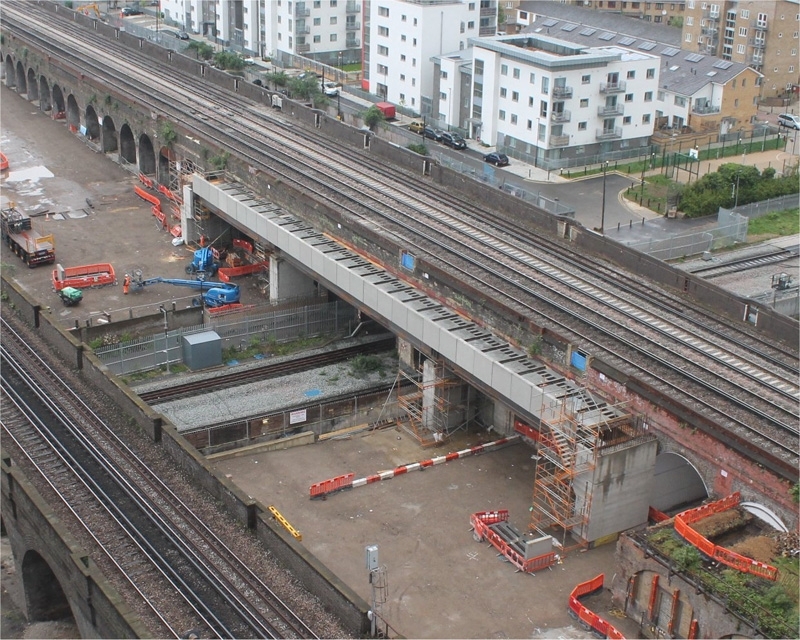 Contractor, Skanska were appointed to construct the complex new structure to allow the Thameslink Sussex lines to cross the Kent lines unimpeded on their approach to London Bridge station by creating a new grade-separated junction on the eastern route to the station. The Dive-Under is formed of 11 new interconnected structures along the line of existing operational rail viaducts. 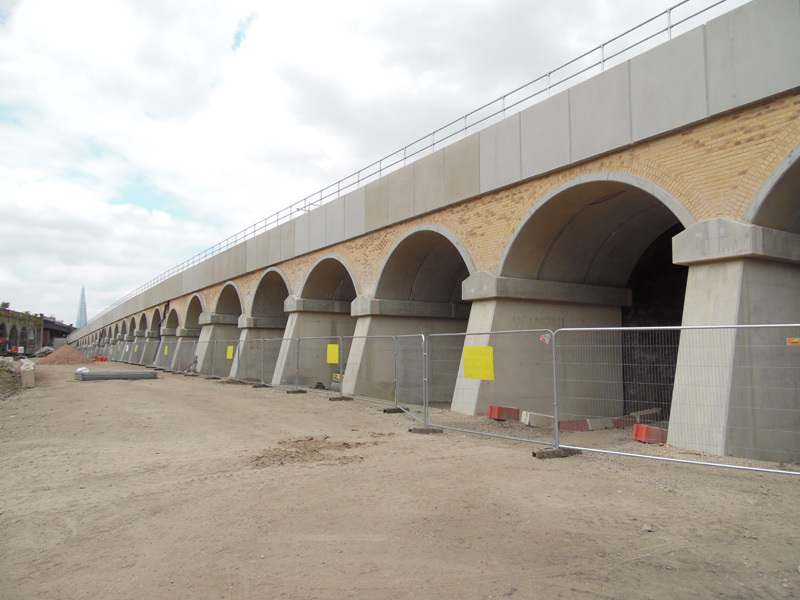 ABM supplied precast Arch, Impost and Robust Kerb units to the four main viaduct extensions along with abutment and deck components for several bridge spans. Nearly 1,000 precast reinforced concrete units weighing over 10,000 tonnes in total were supplied.